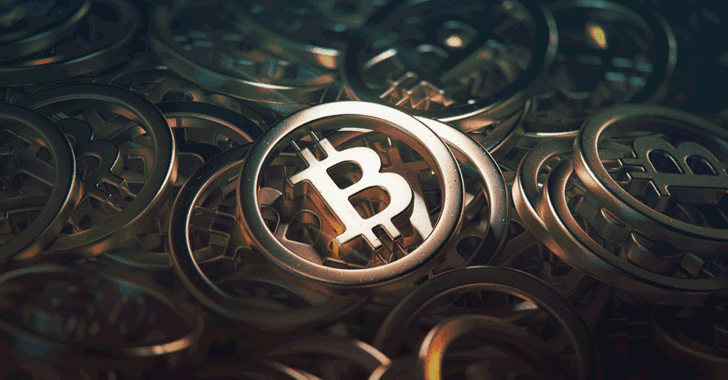 The growing popularity of Bitcoin and other cryptocurrencies is generating curiosity—and concern—among security specialists. Crypto mining software has been found on user machines, often installed by botnets. Organizations need to understand the risks posed by this software and what actions, if any, should be taken. Cato Research Labs determined crypto mining represents a moderate threat to the organization. Immediate disruption of the organization infrastructure or loss of sensitive data is not likely to be a direct outcome of crypto mining. However, there are significant risks of increased facility cost that must be addressed. Crypto mining is the process of validating cryptocurrency transactions and adding encrypted blocks to the blockchain. Miners solve a hash to establish a valid block, receiving a reward for their efforts. The more blocks mined, the more difficult and resource-intensive becomes solving the hash to mine a new block. Today, the mining process can require years with an off-the-shelf computer. To get around the problem, miners use custom hardware to accelerate the mining process, as well as forming "mining pools" where collections of computers work together to calculate the hash. The more compute resources contributed to the pool, the greater the chance of mining a new block and collecting the reward. It's this search for more compute resources that have led some miners to exploit enterprise and cloud networks. Mining software poses a risk to the organization on two accounts. In all cases, mining software is highly compute-intensive, which can slow down an employee’s machine. Running CPUs with a “high-load” for an extended period of time will increase electricity costs and may also shorten the life of the processor or the battery within laptops. Mining software is also being distributed by some botnets. Native mining software accesses the underlying operating system in a way similar to how botnet-delivered malware exploits a victim’s machine. As such, the presence of native mining software may indicate a compromised device. Cato Research Labs recommends blocking crypto mining on your network. This can be done by disrupting the process of joining and communicating with the mining pool. The deep packet inspection (DPI) engine in many firewalls can be used to detect and block Stratum over TCP. 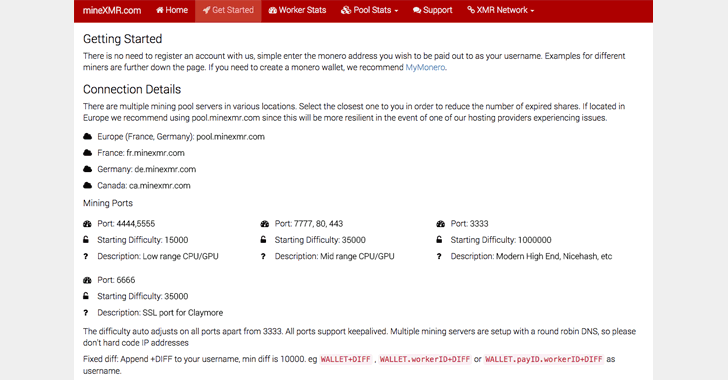 Alternatively, you can block the addresses and domains for joining public mining pools. DPI engines can disrupt blockchain communications by blocking Stratum over TCP. Stratum uses a publish/subscribe architecture where servers send messages (publish) to subscribed clients. Blocking the subscription or publishing process will prevent Stratum from operating across the network. DPI rules should be configured for JSON. Stratum payloads are simple, readable JSON-RPC messages (see Figure 2). A subscription request to join a pool will have the following entities: id, method, and params (see Figure 3). Configure DPI rules to look for these parameters to block Stratum over unencrypted TCP. Three parameters are used in a subscription request message when joining a pool. Detecting Stratum, in that case, will be difficult for DPI engines who do not decrypt TLS traffic at scale. (For the record, Cato IPS can decrypt TLS sessions at scale.) In those cases, organizations should block the IP addresses and domains that form the public blockchain pools. The configuration information is usually passed via JSON or via command-line arguments (see Figure 3). Organizations could configure firewall rules to use a blacklist and block the relevant addresses. In theory, such a list should be easy to create as the necessary information is publicly available. Most mining pools publish their details over the Internet in order to attract miners to their networks (see Figure 4). Despite extensive research, though, Cato Research Labs could not find a reliable feed of mining pool addresses. 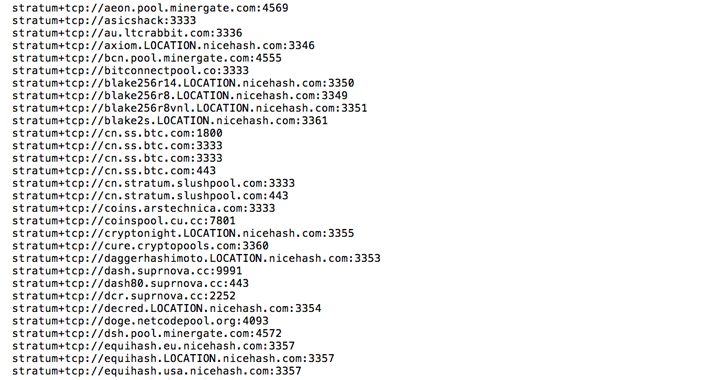 Without such a list, collecting the target mining pool addresses for blocking would be time-consuming. IT professionals would be forced to manually enter in public addresses, which will likely change or increase, requiring constant maintenance and updates. To address the issue, Cato Research Labs generated its own list of mining pool addresses for use by the greater community. Using Google to identify sites and then employing scraping techniques, Cato researchers were able to extract pool addresses for many mining pools. Cato researchers wrote code that leveraged those results to develop a mining-pool address feed. Today, the list identifies hundreds of pool addresses (see Figure 5) and should be suitable for most DPI rule engines. See here for the full list. The combined risk of impairing devices, increasing costs, and botnet infections led Cato Research Labs to strongly recommend IT prevent and remove crypto mining from enterprise networks. Should software-mining applications be found on the network, Cato Research Labs strongly recommends investigating active malware infections and cleaning those machines to reduce any risk to organization's data. Cato Research Labs provided a list of address that can be used towards that goal, blocking access to public blockchain pools. But there's always a chance of new pools or addresses, which is why Cato Research Labs strongly recommend constructing rules using a DPI engine with sufficient encrypted-session capacity.